the ability to create tables and charts and download benchmarking results for use in internal reports. 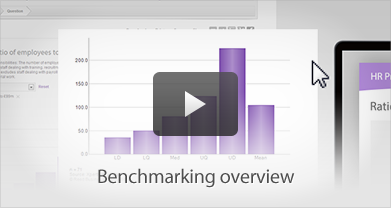 Benchmarkers are easy-to-use spreadsheets providing you with a quick and easy way to measure and monitor your organisation's performance on key HR measures against the latest XpertHR Benchmarking data. Each benchmarker spreadsheet allows you to produce printable reports and access links to relevant XpertHR analysis and compliance content. Download the free Quick Benchmarker to find out how your organisation compares on key HR and employment benchmarks.